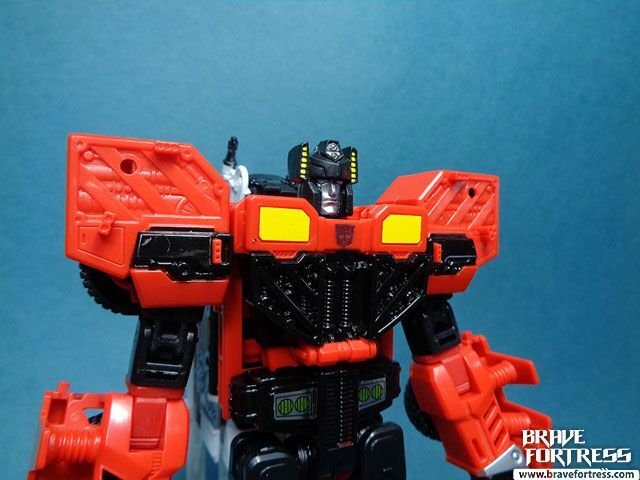 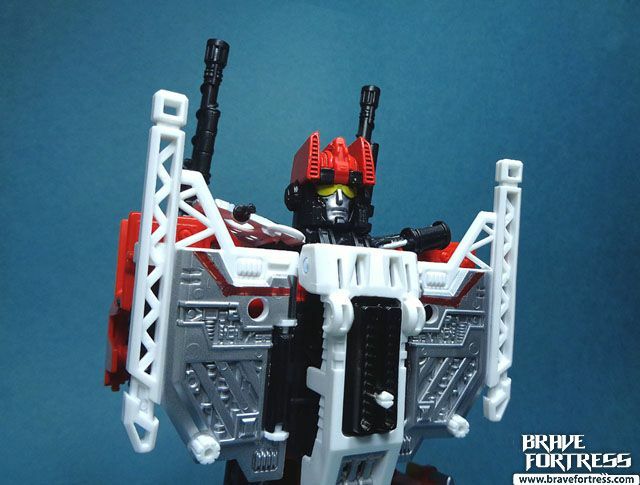 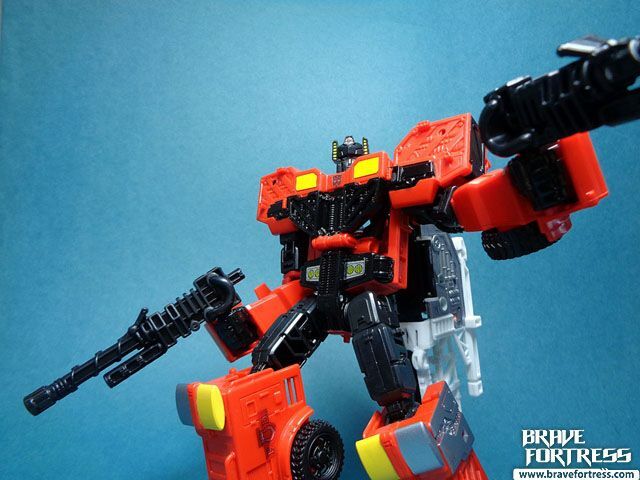 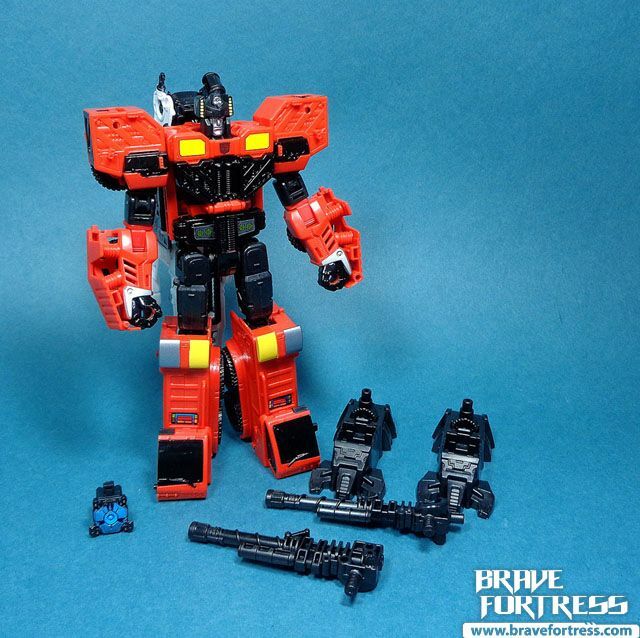 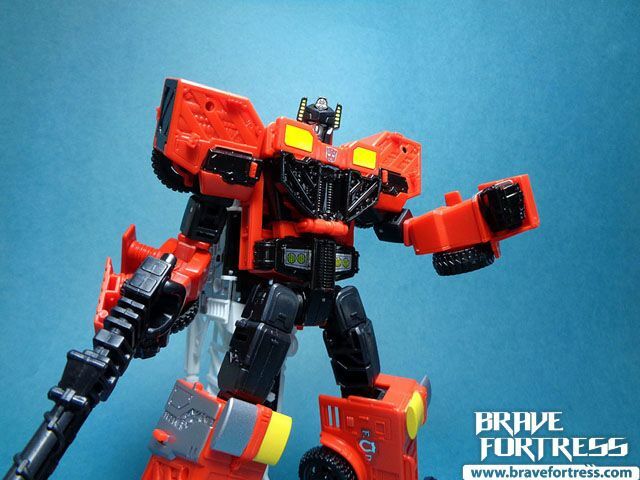 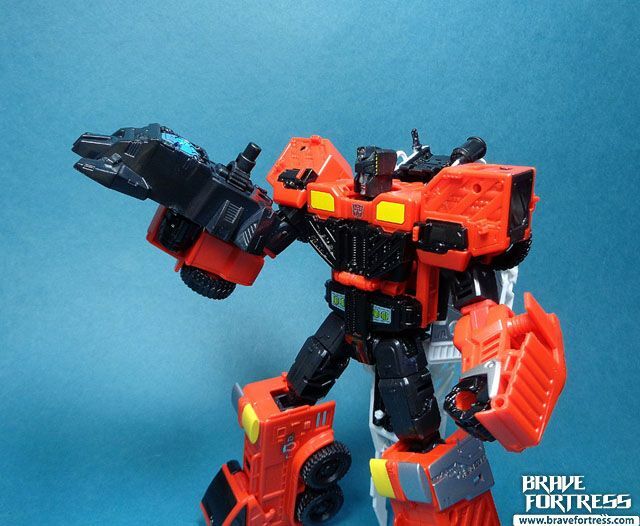 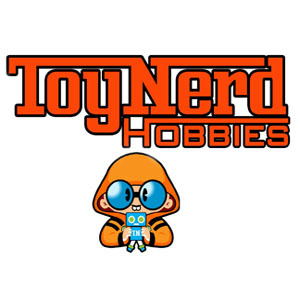 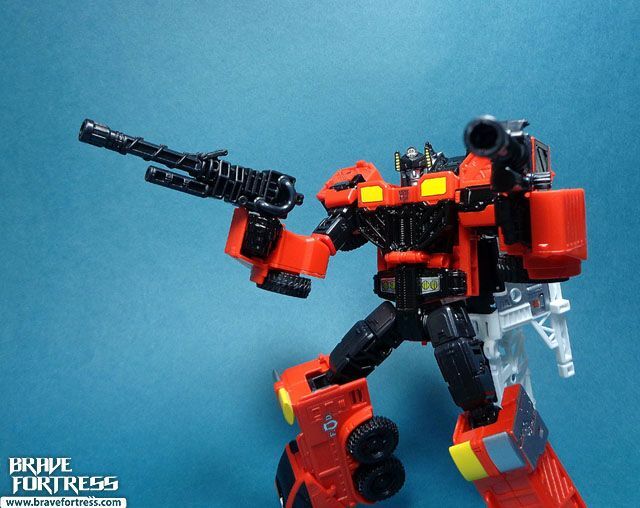 Inferno is a retool of the Onslaught/ Hot Spot mold. 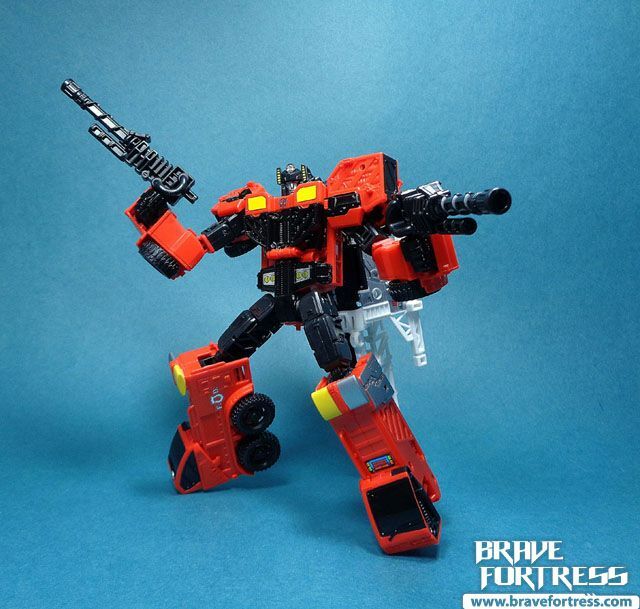 I have to admit the colors really pop on this figure. 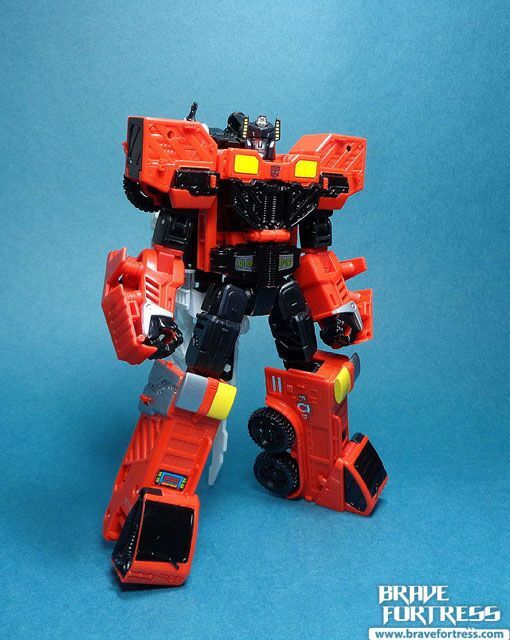 Inferno comes with the “Autobot Enigma”, a variation of the Enigma of Combination. 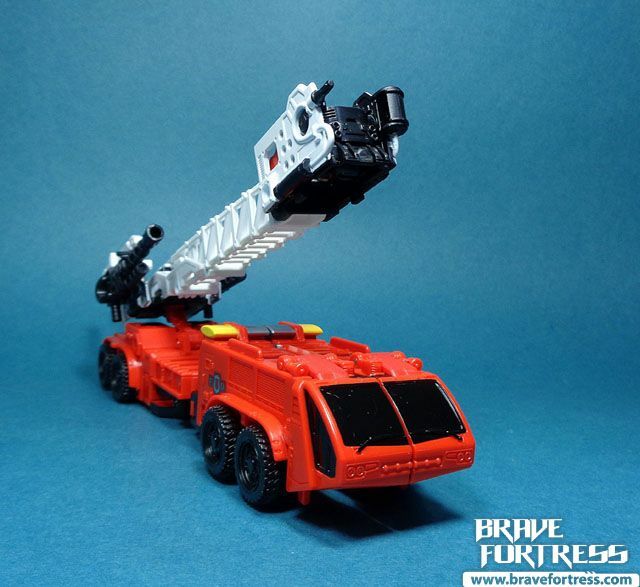 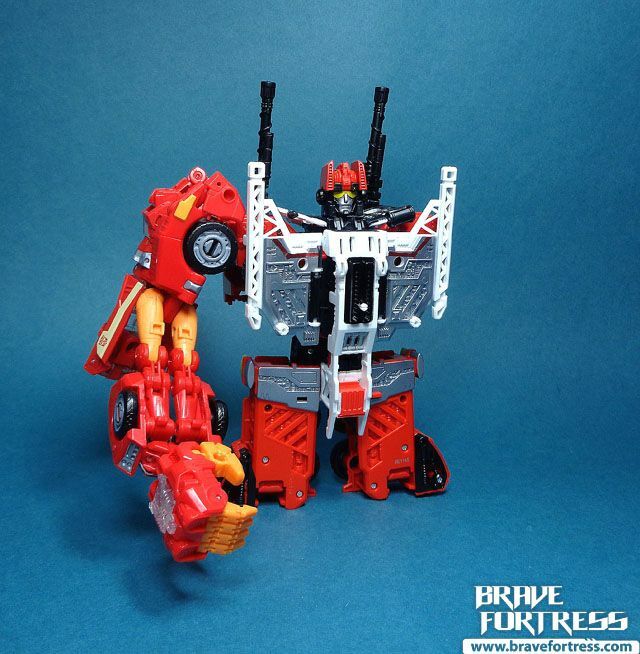 Each mold for the Enigma is unique (with the exception of Inferno who shares the same Enigma mold as Hun-gurrr), no fictional details yet on what powers each Enigma grants per combiner. 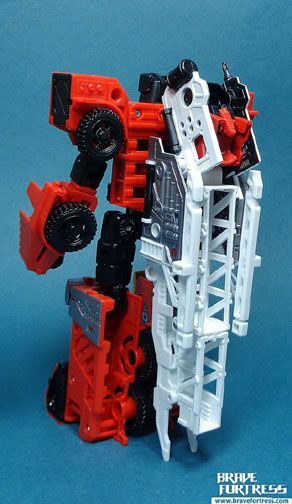 It’s a shame they didn’t release this mold as an homage to the Car Robots/Robots in Disguise 2000 Optimus Prime, I think this color scheme would work even better for that figure. 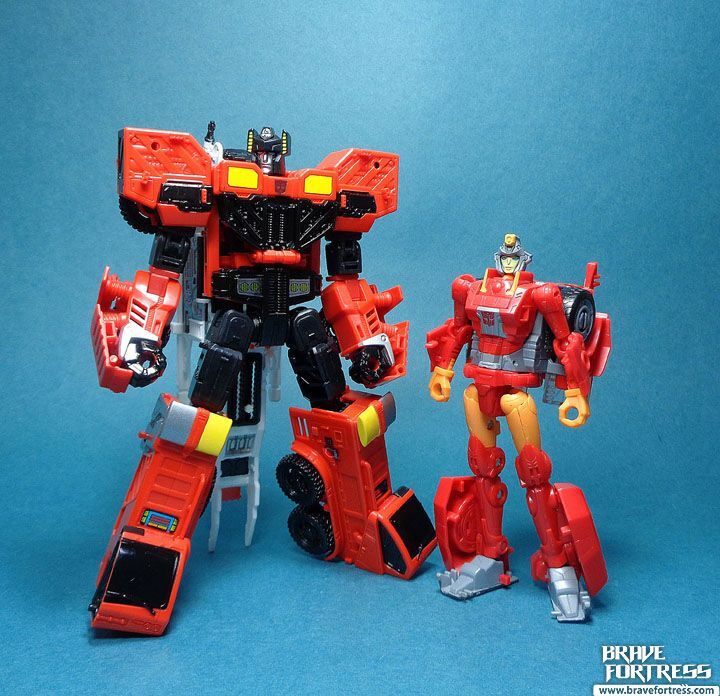 With his “friend” Firestar/Novastar. 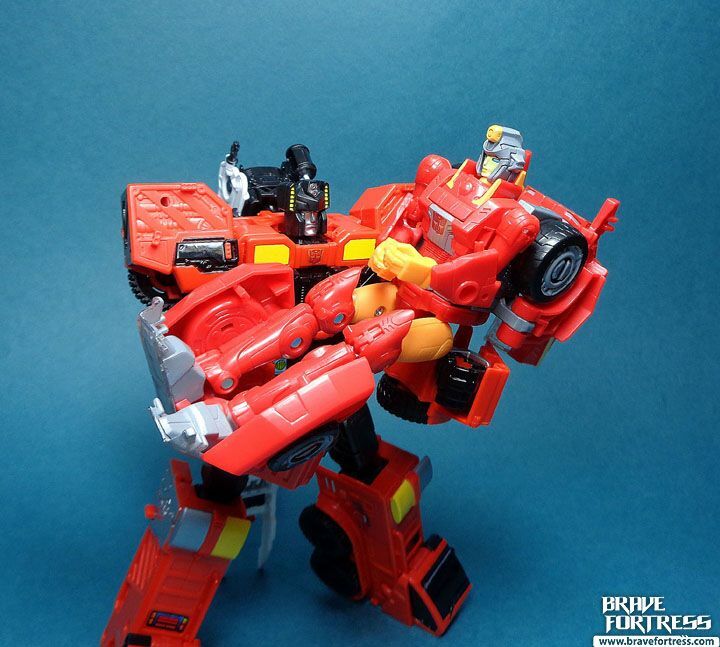 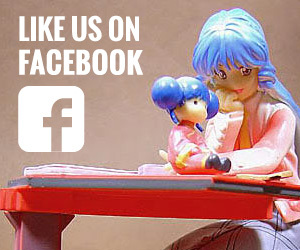 They were hinted as a couple back in the G1 cartoons. 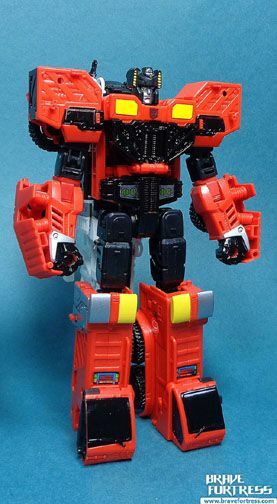 Since they never really gave a name for the Inferno Combiner, I guess we’ll never know what to call him. 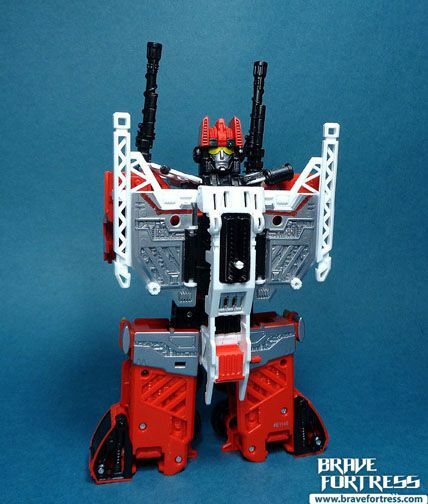 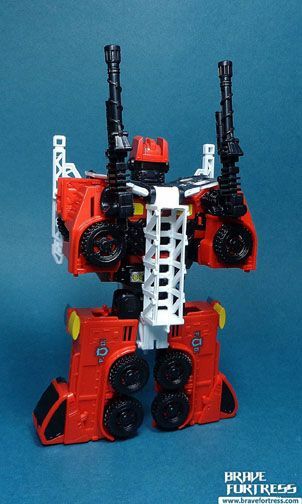 From the Official Transformers Fan Club comics, Inferno was a member of a new team called the Firestormers, and was supposed combine with Sideswipe, Bluestreak, Hoist and Ratchet to form a new combiner, but this did not come to pass, as Thunder Mayhem killed everyone on the team except for Bluestreak before they could combine. 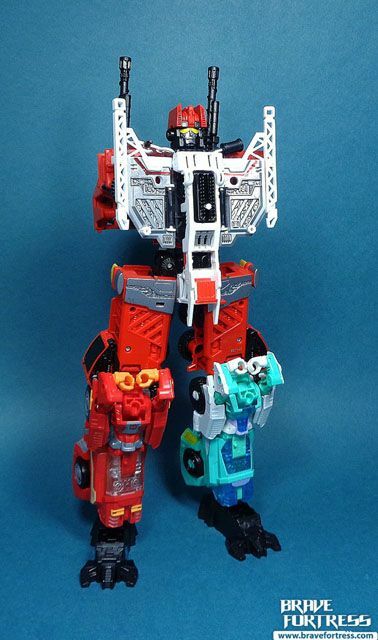 Novastar works very well as a combiner part for Inferno, it would be great if one could get 4 Novastars and combine them but she’s a bit hard to get more of at the moment.